Marking 10 years of BBC Introducing, Amplify became the first music convention of this size to take over the Excel, London with over 100 sessions and 250 guest speakers. It homed a variety of masterclasses, performances and Q&A’s making it valuable for all musicians and anyone willing to pursue a career in the music industry. 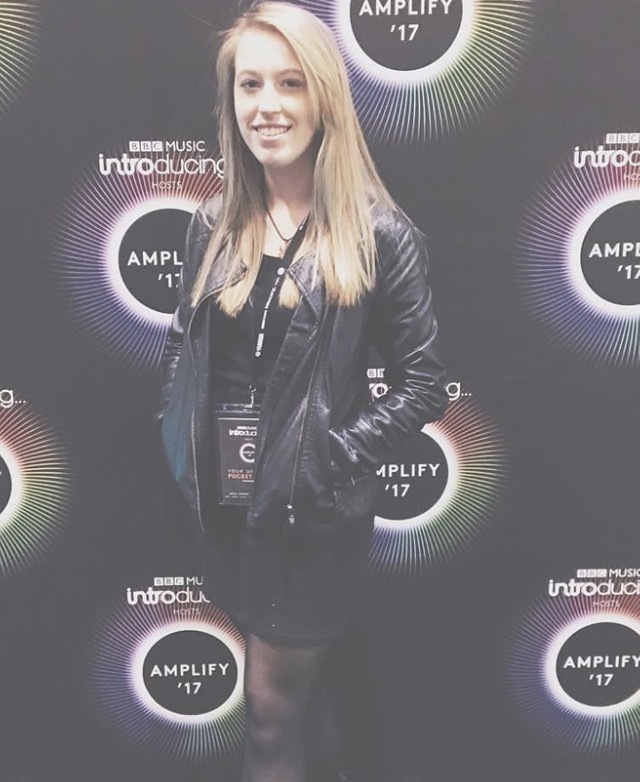 On Sunday 8th October current Music Journalist student Louise Tindall, ventured into London to attend the BBC Amplify event. Here’s what she got up to. After a morning of learning skills on protecting your voice, creating a sound and how to run a campaign with a low budget, The Hunna kicked off the afternoon in The Journey Theatre with a panel hosted by Radio 1’s Phil Taggart. After expecting the hour not to be particularly useful, I was pleasantly surprised by their willingness to talk about the criticism they’ve received from their social media presence and how they’ve gone from nothing to selling out the O2 Academy, Brixton in just two years. They spoke in detail about their previous musical endeavours, how they believed that to have helped them and why growing up together has allowed them to connect with fans. Joined onstage by their manager, they spoke about being forced to delete all previous online accounts until they had over 500 songs written and were deemed ready. After opening up to audience questions, they continued to discuss whether they wish they’d done things differently and how other artists could go about having a similar impact. Following on from this was the ‘I can’t get you out of my headline’ panel featuring the editor of NME, Gigwise and the founder of Popped Music. Here they focused on how, from a journalists’ perspective, was best to get your demos noticed and featured in their relevant publications. They talked heavily about the difference between being persistent and being annoying in relation to how many times you send them your work as well as highlighting the importance of targeting the right brand. After more mingling and demo sharing the day came to a close with The Hunna performing a short, fifteen-minute set on The Amp stage, attracting a large crowd of artists ready to further their careers.